Coming to you, from Louisville, KY! It’s the ValentineCast with your Covered couple, J and Renee Valentine. Today is February 24, 2014 and this is Episode 146! We welcome to the show Brian and Tina Ibbott. Brian has been involved with Frogpants for years. 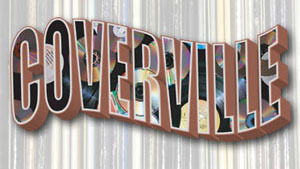 His long running podcast, Coverville, has been going since 2004. Since then he has contributed to podcasts such as Tired Thumbs, Film Sack, and the infinitely popular, The Morning Stream with Scott Johnson. Of course none of this is possible without Tina. Tina is his wife and partner who has also contributed to many episodes of Coverville with her in depth trivia knowledge of music. I want to be a Honey Badger!!! Frogpants total – 174 people have lost 1202.1 pounds. That’s 6.9 pounds per person. The Valentines on Nerd Parents this Thursday!